The Amazing Life Story of Rhona and Rhoda Wurtele. 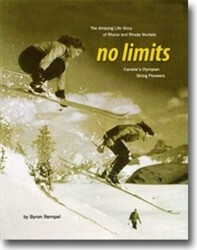 No Limits — Canada’s Olympian Skiing Pioneers, by Byron Rempel. 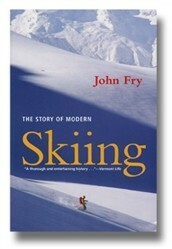 Ski history book is SIGNED BY AUTHOR. “This is a fascinating history of two wonderful athletes and their times. It will be of particular interest to anyone interested in the development of amateur sport in Canada, especially those familiar with the important initiatives coming from Montreal and the Laurentians.” — Richard W. Pound, Past President, Canadian Olympic Committee, Member International Olympic Committee. 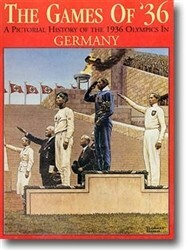 Copyright 2007 by Twinski Publications. 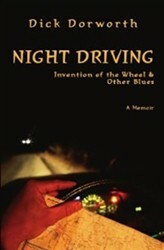 Published in Canada by Twinski Publications. Edited by Lynn Schellenberg. Soft Cover. 357 Pages. Book Size 9 1/2 x 7 1/2 x 1 inches. About the Author: Byron Rempel is a writer whose latest book, Truth is Naked, an autobiographical exaggeration, was named one of the Globe & Mail’s Best Books of 2006. He has written for the National Post, Saturday Night Magazine, and Discovery Travel, among many other media. He currently lives in St. Sauveur in a pink church.